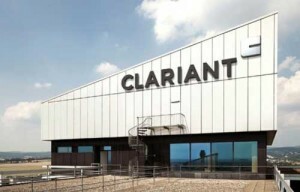 Specialty chemicals firm Clariant has revealed that its five-year CHF10m (£8.3m) upgrade plan is proceeding on schedule, with refurbishment now completed at its plant in Ahrensburg, Germany. Clariant’s global head of segment consumer goods and engineering and high temperature polymers Jeff Saeger, who is heading the expansion program has reported that two extrusion lines at the masterbatches plant in Ahrensburg, Germany, have been refurbished and can now run at temperatures up to 450°C. Another new line is set to be installed and running by the end of the first quarter of 2017. Meanwhile in Shanghai, two new co-rotating extruders are now running and a smaller high-temperature unit has been started up in Singapore. Saeger said equipment for processing fluoropolymers had been installed in Lewiston, in the US, while new lines for specialty high-temperature compounds were now running in Holden, Massachusetts. A new black masterbatch line, for engineering polymers is scheduled to start up in Holden in the third quarter of 2017. “Clariant is going all-out to meet increasing demand for high-temperature-compatible masterbatches and compounds around the world,” said Saeger.